When you are looking for a hosting provider for your website you are going to find that there are lots of options of different types of hosting to choose from. One of these will be VPS hosting. VPS hosting stands for virtual private server. It has similarities to shared hosting and dedicated hosting and for some it can create some confusion as to why it may be the best choice for their business. Hosting your website means all of the data from that website is placed on a server at a hosting center. When you are using a VPS service then it means that the server will be one that is partitioned off so that it has the ability to work on its own operating system as well as possess its own disk space and bandwidth. It’s almost like having a server within a server. If this is the type of hosting that you have chosen then what it means is that when you are using your hosting account you will only have access to the environment that has been allotted to you, and you will be able to have control over this server where you can reboot it if it happens to go down. One of the great benefits of using VPS hosting is that it can be a stepping stone for those web owners who believe that in the future they will need a dedicated server, but they are not at the point where they need to use this as yet. It is a choice between shared hosting and dedicated hosting and provides a good solution for many. There are additional benefits when it comes to VPS hosting. From a cost point of view it is less expensive than what a fully dedicated hosting plan would probably be. You also have the ability to be able to customize your VPS plans so that they are more unique to your needs. By doing this you don’t have to take on features that you will most likely not make use of. 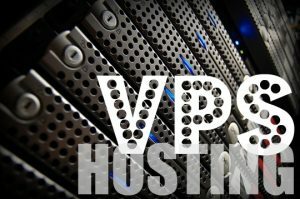 Another great feature of using a VPS hosting plan is that you are able to step up additional plans within this category that have additional features if and when you need them. This often happens when a website begins to grow and expand. While shared hosting is great for the beginner, for those web owners that want to have more control over their server the VPS allows them to do this. In most cases you will get root access and you will be able to use scripts that you may not have been able to use in other plans. You should be able to rely on good technical support for your hosting service as this is critically important. When you are choosing your packages you may have the option of being able to choose some that are partially managed by the host provider which will include a some of the maintenance services that you may require. When you are seeking out providers of VPS hosting ideally you will want to focus on local providers as there are many benefits to this. You also want to take into account the number of packages that will give you options. As well as your flexibility for being able to step up in two more advanced packages when the demand is there will be important to you. Look for providers of VPS hosting that are established and meet all of the criteria that should be in place for good hosting services and you should have no problems with keeping your site live and performing properly.